TULEAR, Madagascar – Madagascar has one of the highest rates of child marriage in the world, with devastating effects on the lives of the girls affected. For instance, Alphonsine, now 35, was married off in a traditional ceremony at the age of 16, and is still suffering from the harsh consequences. “I became pregnant shortly after the marriage, but during the delivery there were complications. Sadly, my baby was stillborn,” says Alphonsine. Moreover, the prolonged obstructed labour created a fistula - an injury to the birth canal leaving her leaking urine. Obstetric fistula is one of the most shattering consequences of child marriage, as young girls are especially prone to developing fistulas. Women suffering from obstetric fistula are often stigmatized in the community. “My husband abandoned me once the fistula appeared. For several years, I was very miserable, and people laughed at me because I smelled urine,” says Alphonsine. In 2011, Alphonsine was given a fistula surgery through UNFPA’s Campaign to End Fistula. This has alleviated some of her suffering, but she is still in need of a second surgery. 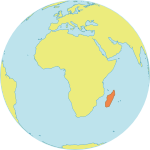 A new law was passed in Madagascar in 2007, setting the marriageable age at 18 for girls and boys alike. Previously, girls could be married at 14 and boys at 17. However, child marriage is still common, especially in rural areas where traditional marriage ceremonies are common. According to recent findings by UNFPA, nearly half of all Malagasy women (48 per cent) aged 20-24 were married or cohabiting before the age of 18. Child marriage has several harmful effects on the overall well-being of young girls who are not psychologically, emotionally and physically ready for conjugal life. It increases the probability of having children at a younger age, which increases the risk of sexually transmitted infections, including HIV, maternal mortality and obstetric fistula – as seen in the case of Alphonsine. Complications of pregnancy and childbearing are the leading cause of death for girls 15-19. Statistical overview of child marriage releases 11 October, the International Day of the Girl Child. Thirty-eight-year-old Zara was also forced into a marriage at the age of 15. “I had to accept, if not I would be cursed,” she says. “Forced marriage is still very common in our village, and girls cannot refuse. Early pregnancy is also commonplace, even among 14-year-olds,” says Zara. A year after her marriage, while she was still just 15, Zara had her first child. Like Alphonsine, she suffered from obstructed labour, her baby was stillborn, and shortly after the delivery she discovered that she was also suffering from fistula. Like many other women living with fistula, her husband abandoned her. For more than 20 years, Zara lived in misery because of her injury. Like Alphonsine, she also had surgery through UNFPA’s Campaign to End Fistula in 2011, and is now healed. As a part of its gender-based violence program, UNFPA works in Madagascar with the police, policymakers, women’s associations, local communities and traditional leaders in order to raise awareness on gender-based violence, including child marriage. All actors are encouraged to respect the legal age of marriage. Alphonsine still lives alone in poverty, but is taking part in a joint project between UNFPA and the International Labour Organization, which aims to reintegrate women and girls who have undergone fistula surgery and survivors of gender-based violence into the community by teaching them a trade or a skill. “I would like to sell fish and start my own business. My hope is that this will give me a better future,” says Alphonsine.